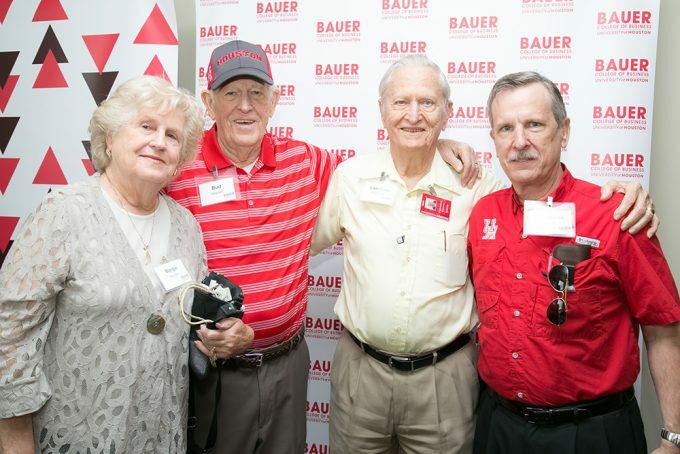 The C. T. Bauer College of Business at the University of Houston will welcome alumni celebrating their gold and silver anniversaries back to campus on March 22 for an afternoon of camaraderie and reminiscing, along with an update on the college, during the annual Gold & Silver Cougar Alumni Luncheon. The event will showcase a Cougar Mobile Museum that includes Houstonian yearbooks, Frontier Fiesta programs, student newspapers and athletics memorabilia through the years. Current Bauer College students will also be on hand to share their experiences with the audience of graduates from 25 and 50 years ago. “We encourage alumni to reconnect with their peers so that one can maintain their personal connections they cultivated at Bauer and to expand their network through attending events on campus,” Director of Alumni Relations Anne Ness said. Held in the Insperity Center within the University and Classroom Business Building on March 22, the event will also serve as a showcase for new facilities for Bauer on campus. For more information about the event, or to RSVP to attend, click here.